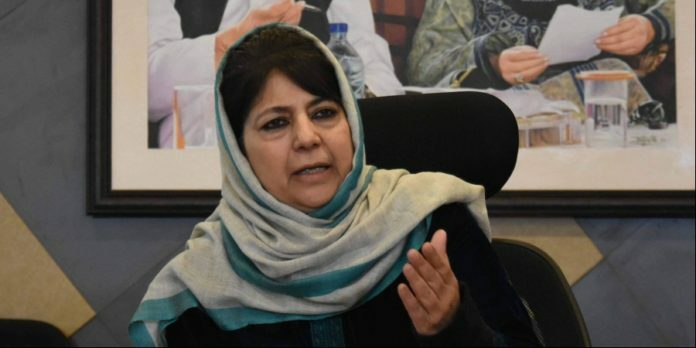 Srinagar: Peoples Democratic Party president Mehbooba Mufti questioned the grounds on which the accused in the Samjhauta blast case were acquitted by a court on Wednesday. “Despite damning evidence, the accused including a former RSS member have been acquitted. God forbid, had they been Kashmiris / Muslims, they would be pronounced guilty & imprisoned without even a fair trial. Why such double standards and leniency towards saffron terror?” the former Jammu and Kashmir chief minister asked. Mufti’s reaction came after a special court in Haryana acquitted Swami Aseemanand and three others in the Samjhauta train blast case that left 68 people, mostly Pakistanis, dead in 2007.